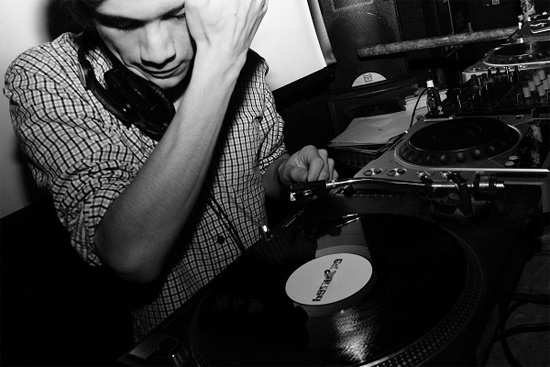 Hessle Audio have announced that their next 12" release is to come from Berlin based producer TJ Hertz, aka Objekt. Responsible for a raft of hugely impressive tracks in 2011 (through his own label, as well as remixes of SBTRKT and Call Super), he's fast establishing himself as one of the most broad-thinking and open-minded producers operating within UK-centric dance music. His track 'Unglued' featured in our Hyperspecific column's tracks and mix of the year, which you can check out here. The 12" will contain two tracks, 'Cactus', which first appeared on Ben UFO's Rinse mix CD last year, and 'Porcupine'. You can listen to clips at Hessle Audio's website. They're due for release on vinyl and digital download on 6th February. Over the past couple of years, the Hessle Audio crew have been some of the prime movers within the sketchily defined regions between house and dubstep. Their dry, stripped-back and very percussive aesthetic has drawn influence from all areas of modern dance music, while also retaining a strong identity of its own - a rare trait in an increasingly saturated market. As an institution that constantly pushes forward exciting and innovative dance music, it's been a pleasure to witness the label's rise over the past year or so, from very underground concern to name that packs out clubs. The label are hosting the next of their regular takeovers of London club Fabric tomorrow night (Friday 13th January), featuring label heads Ben UFO, Pangaea & Pearson Sound, plus Hyperdub boss Kode9, Icicle, Night Slugs broken houser Jam City and Bristol's excellent Kowton. It comes strongly recommended.